New “Darkest Before Dawn” Campaign Image! 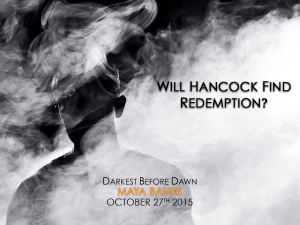 Maya Banks’ 10th KGI Novel Arrives October 27th! Hancock and Honor’s story is less than 2 weeks away! 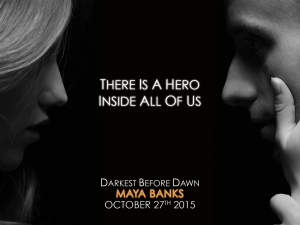 Maya Banks’ “Darkest Before Dawn” Releases October 27th! Hancock never expected to become a hero. 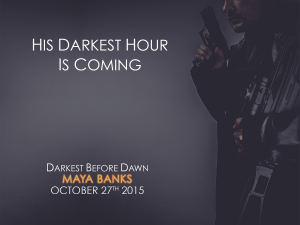 Maya Banks’ Darkest Before Dawn is available on October 27th. Her only choice was to fight as she’d never fought before. To overcome a heartbreaking tragedy. And triumph. “Darkest Before Dawn” Available 10/27! “Hancock’s identity changed with the winds, and at times it was hard for him to keep up with who he currently was. 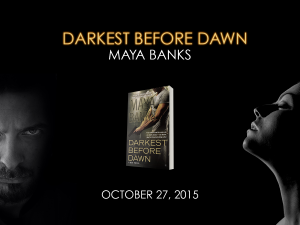 It was a tired existence, one he grew wearier of all the time.” Maya’s Darkest Before Dawn is available 10/27!